If there is anyone that enjoys fishing when raining, that someone is me. But if you don't dress yourself up adequately for this occasion, you might end up having miserable experience fishing in the rain. However, when you are putting on the right gear, it is a different experience altogether. You will feel more comfortable and focus your attention on landing the best catch of the century. So, if you are avid fisherfolk, find out why I believe you should never neglect fishing in the rain. You should never toil with weather forecast or report when lake fishing. Every avid fisher knows there might never be a desirable condition for successful lake fishing than when the rain is pouring down. I hardly get reasonable catch fishing on a bright sunny day. It could even be worse fishing in a clear water lake. But from my experience, here is why lake fishing when the rain is falling is ideal. The hot summer period makes fishes inactive, but the outcome is different when you go fishing when raining. What happens during hot summer period is that water bodies experience lower levels of dissolved oxygen. Most of us knew this right from elementary school. The rain helps to set the stage for a successful catch which I have noticed whenever I go fishing in this condition. Rain improves aeration of water surface. It also produces a cooling effect which makes dormant fishes more active. These are among factors that make lake trout fishing in the rain ideal. It is not like fishes go blind during the fisher. What happens when it rains is that fishes will not be able to see you clearly because of this disturbance. Fishes tend to move to different locations when the water level rises after a torrential downpour. Also, the shoreline vegetations will once again attract fishes when the water rises above their roots, even as small as one or two foot. They will come out of their hiding places to feed and end up being caught. 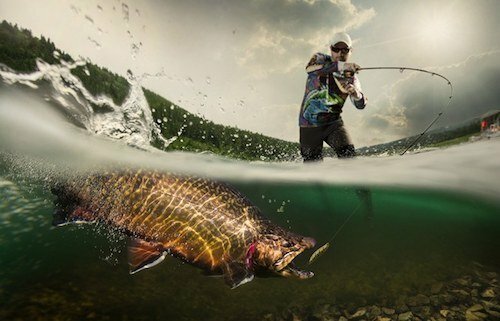 Any experienced angler understands what it takes to make their fishing game successful. 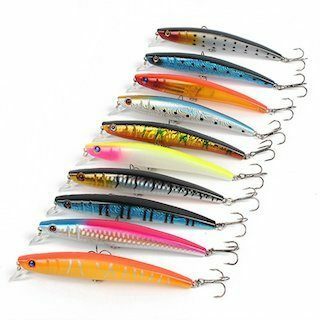 It is not a matter of bait size or quality of fishing gears alone. Studying the weather and knowing how it can impact your fishing activity is vital; a torrential heat wave, cold fronts, and rain affect these activities significantly. Here are some tips you need to know for bass fishing in the rain. Before that, make sure to check out our comprehensive guides on the best fishing reels out there. Raindrops will not only disturb the water surface. During the shower, cloud cover which produces a cooling effect would decrease visibility making topwater lures a great idea. You need to get your topwater rigged ready because more fishes will hunt for preys at this time. As a result, they are likely to find your topwater bait faster. When you go bass fishing in heavy rain, expect an increase in cloud cover and rate at which bass will be roaming about in water. It will be different from when you go fishing on a sunny day. You need to identify roaming bass quickly at this time. While using the spinnerbait, your retrieve needs to be quickened a bit faster. I love fishing when raining not because I enjoy being drenched by the rain. It is the outcome that encourages me to keep on moving. 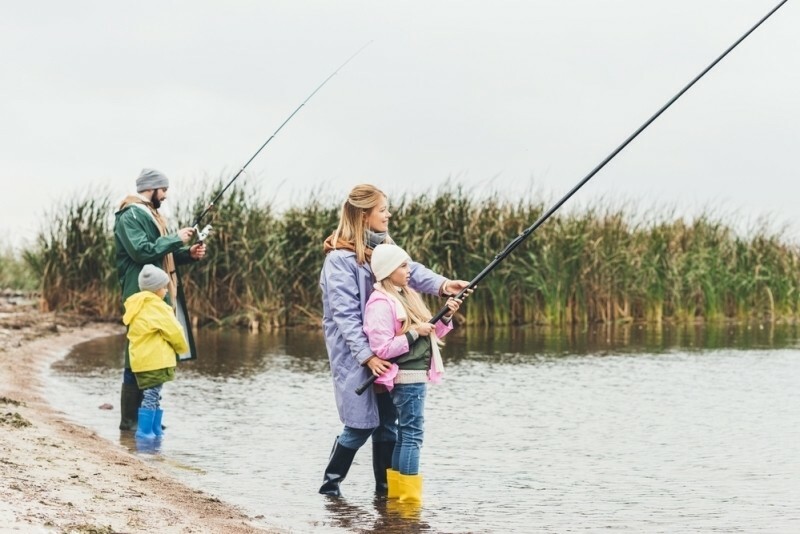 You can also use the ideas in this post to make your fishing experience when it rains worthwhile. Understand how weather condition affects fishing activities and could make you successful. So, love the idea but still have not own your fishing rod yet? Check out the well-knows brands of fishing rods from this article.